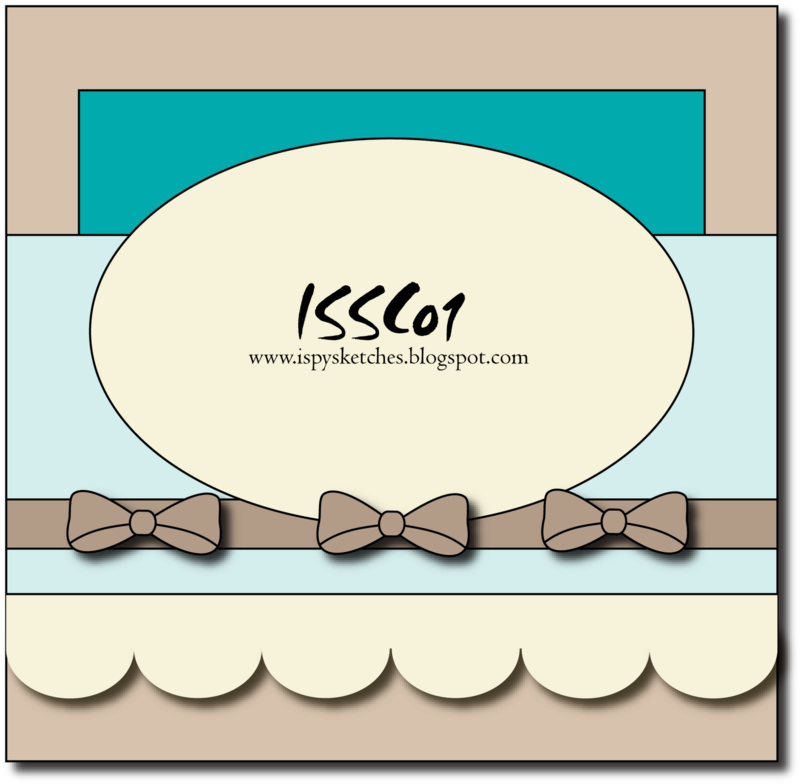 Danielle Daws: ISSC01 - The iSpy Sketches Debut! It's time for the very first sketch of the iSpy Sketch challenge blog! I'm still pinching myself about being on this team... :-) This week's sketch is inspired by this beautiful card by Loretta Lock. Make sure you stop by Loretta's gallery or her blog to check out her gorgeous work. Thanks for inspiring us this week, Loretta! The TGF stamp and papers are from Craft-A-Lot and the net ribbon is from the Ribbon Carousel - links are at the bottom! Great card Danielle, and I love your coloured image - just gorgeous! Danielle, Nice to meet you, so to speak. Great card, so very cute. Nice job with the prisma pencils. Love that mesh also. Thanks for the inspiration. Beautiful!! Your coloring is amazing girl!! WOO! I am hoping to play along this weekend!! 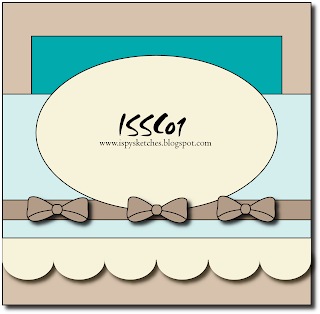 Congratulations on your debut with ISSC. Your image is, as always, beautifully coloured and it's a lovely sketch for #1. Such a pretty card Danielle! Your colouring is perfect!! Such a fun image - colored beautifully! I love your coloring and that net ribbon stuff is super cool!! Coloring is fabulous and I'm like the rest--love the net ribbon!! Took a peak at your craft space.... love it... wonderful handy DH!! 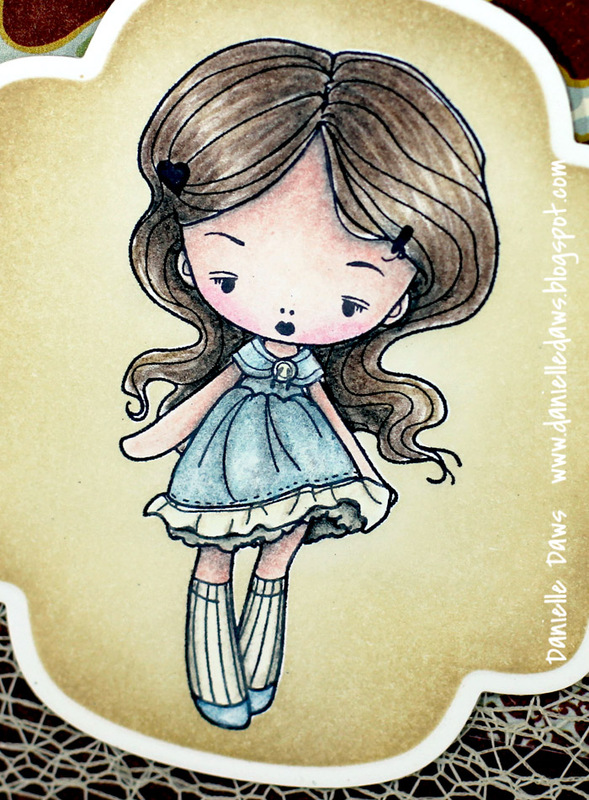 Beautiful card, I love the rich colours and the stamp so cute.